It is all about the booty and legs! Right? Unless it isn’t all about the booty (and legs), then it isn’t all about the booty (and legs). However, we think that most people are all about the booty and legs, because without good legs to support a good booty, then how are either of them that great? And what helps a booty and legs? Performing great squats! First and foremost, you have to have a great technique. 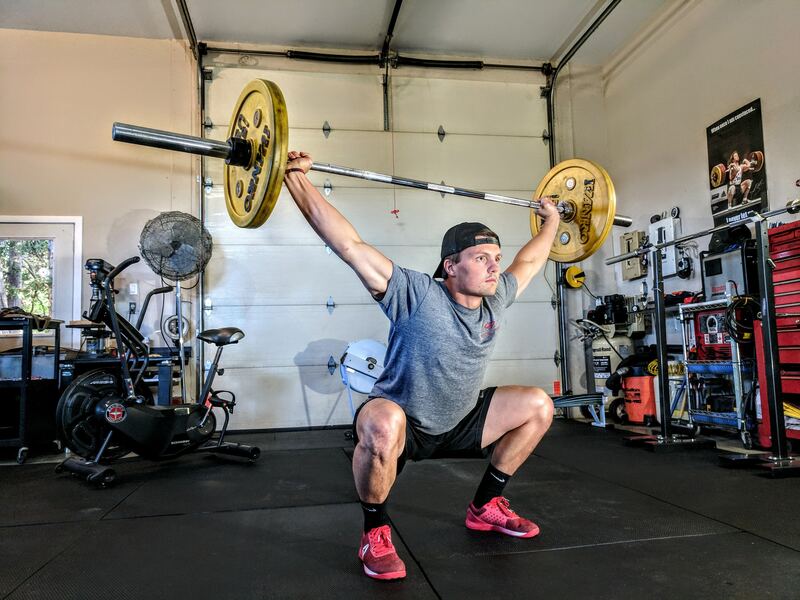 Without a proper technique, then you can’t squat heavier, squat with different variations or squat deeper. Plain and simple. It is as easy as 1, 2, 3… chest up, hips back, and knees out. The problem with a lot of people when they squat is that they squat straight down, instead of pushing their hips back into a hip hinge pattern while driving their knees out. This proper technique forces them into a vertical and more quad-dominant squatting pattern. A squat requires a lot of mobility within the lower body. Mobility in the upper back, hip, and ankles–additionally a strong core and upper back too. If you don’t have all of these qualities then your movement is most likely limited. The body’s strength stems from the core. Think about it, most of the muscles in our body are connected to the core, especially your booty and legs. If your core is weak then your booty and legs can only achieve a certain strength as well. You need a strong core to stay tight and keep your torso as straight as possible when you squat. Getting the strength in your chest starts with setting the tension in the torso by breathing. Before you begin the squat, you should take a full deep breath expanding your abdomen and your chest – and hold it. It is a great idea to practice this on its own too and just not just while squatting. To get better at squats where you can get to the point of squatting more weight, you need a strong upper back too. So not only a strong core but a strong back too, makes sense. Every strength program should include back strengthening exercises like pull-ups, bent over rows, seated rows, chin-ups, face pulls, etc. If your upper back is strong, you will be able to create more core stability and stay more upright while under the bar as it becomes heavier. If your hips aren’t mobile aka if they are tight, then you aren’t getting anywhere fast. Or if your hips are weak, then you definitely won’t be squatting better either. A powerful hip extension is a fundamental movement pattern that is seen in most compound strength training exercises in the gym. The key is to maintain a straight back when you transition to hip flexion to hip extension. Try this out and see where your hip mobility is at. When you combine together a strong core, strong back, strong hips and a proper squat technique then you are definitely going to squat better and heavier leading you right down the path to a better booty and better legs.